Over the last year, there has been an increased awareness of the plight of the poor and 2015 will be a particularly significant year for poverty. Although some people feel the UK economy is picking up, this isn’t true for many. The number of people using foodbanks continues to grow.The Bishop of Truro and Frank Field MP chaired the all party parliamentary group which produced the report ‘Feeding Britain’ calling upon the government to eliminate food poverty in Britain by 2020.”Listen to God: Hear the Poor” was an initiative launched by the Archbishop of Canterbury and the Cardinal Archbishop of Westminster last April when the Archbishops were encouraging churches to join them in praying for the work of the Church helping those in need.In May the Pope called on the United Nations to initiate a "worldwide ethical mobilization" that would address the plight of the poor. The Millennium Development Goals (agreed by the United Nations in 2000 and whose aim was to eradicate extreme poverty and hunger by 2015) are to be revisited and redefined in 2015. - Ask ‘what next?’ to ensure there is action as a result of the theme. Communities and parishes are encouraged to explore the theme in creative, innovative and eye-catching ways, involving local communities where possible. - Lent Course. Leader and participant notes and accompanying DVD are available to download below. - Conference on Saturday 9 May. Speakers will bethe Archbishop of Tanzania (from our partner diocese of Mpwapwa) and Revd.Dr. Susan Durber, Theology Co-ordinator for Christian Aid. Further details to come. - Pentecost Sunday (24 May) with a short liturgy which can be included in Pentecost services committing worshippers to action on poverty. Further details to come. In addition, six key stage 2 lessons are being developed for primary schools to study the topic of poverty over a term. Poverty is challenging and complex.Over the years, countless lives have been transformed when poverty is confronted. The challenges may seem overwhelming, but we really can make a difference. The Rochester Diocese Poverty and Hope Appeal channels Christian concern in our Diocese about justice for the poor and food for the hungry towards our commitment to tackle the causes and effects of poverty in different parts of the world. The Appeal was established over 20 years ago in response to the Bishops’ challenge to churches to give 1% of their income to relieve poverty. The 2015 Poverty and Hope Appeal will be launched in May, this year supporting and supported by the Challenging Poverty programme. For more information about the Appeal click here on the Rochester Diocese website, email povertyandhope@gmail.com or contact the appeal coordinator Debbie Cooper on tel.01892-527611. 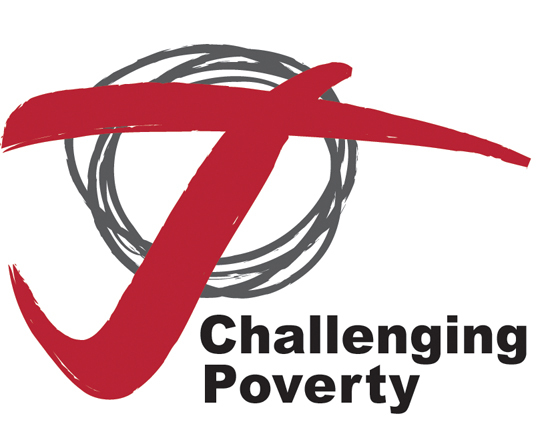 We pray that Challenging Poverty will provide opportunities to make that difference. Below are the links to the course introduction by Bishops James and Brian plus the five modules of the Lent course. Each module has sets of notes for leaders and participants as well as a link to the relevant section of the accompanying DVD. Thiscontains brief interviews explaining each week’s discussion and videos to illustrate the points being made. If you prefer the DVD and notes to be sent to you, please contact Gill Miller at the Diocesan Office (gill.miller@rochester.anglican.org or 01634 560000) as soon as possible and they will be sent when available. If you would like to make a voluntary contribution towards the cost of producing these materials, please send a cheque payable to ‘Rochester DBF - Challenging Poverty’, Diocesan Office, St. Nicholas Church, Boley Hill, Rochester, Kent ME1 1SL.